Whispering, mediuming, transferring, expoing and more! César Millán, the ‘Dog Whisperer’ - Will woo put dogs into submission? Mediums - How far under the radar does a cold reading have to fly to stay undetected? Thought transference - There are many ways to transmit thoughts. Conscious Life Expo — This is not my usual kind of pick because I’m not actually endorsing this site or the event it promotes. But I’m going to it. 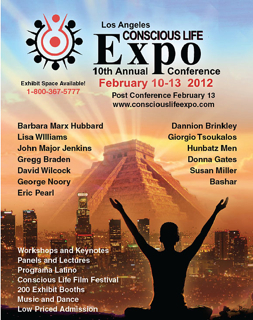 I’m drawn to events like The Conscious Life Expo like a moth is to an electrified patio light zapper. Or maybe it’s more of an anthropological expedition. Yeah. I like that better. It was, in fact, an essay about one such trip, Evil Skeptic and a Visit to Awareness 2000, that earned me the title of “Evil” as in Evil Skeptic and Evil Picks. The essay is almost ancient history now, in light of how much the skeptic community has grown since then, but there you go. After decades of skeptics picking at it, the New Age is still going strong. As long as there are major television stars like Oprah Winfrey, Dr. Oz, and others out there, attracting big audiences, ours will continue to be an uphill battle for reason. Mother Earth has already begun her 5th Dimensional transformation. In addition, humanity has been given a gift to become a part of the transformation and ascend along with the planet. We are multi-dimensional beings that are awakening to our true selves. 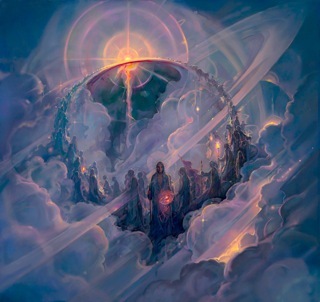 We are learning that we are limitless, co-creators and immortal beings of light. At this time in our lives, we are blessed with the ability to communicate with beings that are from other star systems and dimensional planes. The veil is being lifted and our divine powers and magic are being restored to us. 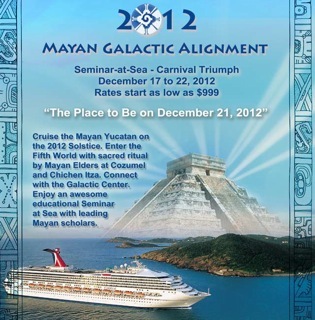 Join us on a spectacular Cruise and Seminar-At-Sea to the sacred Mayan sites of the Yucatan, where we will gather in a grand ceremony and ritual that closes a 5000-year era of darkness, and opens a new eon of light — the ascension of humanity. On this day, the Great Cycle, which began in 3114 BC, will end. The Fourth World will pass, and the “World of the Fifth Sun” will be born. Now catch the crest of the wave. Add your momentum to the vibrational energy that culminates in the peak spiritual event of the Millennium — the Solstice of 2012, which will occur at the incredibly auspicious hour of 11:11 a.m. Universal Time on December 21, 2012. At that time, on that date, everything we know will change. We will enter a new world — a world of Ascension. Listen. You must visit the “Cruise” page. It only gets better! The event will feature workshops, Lectures, Exhibitors, music, and more. 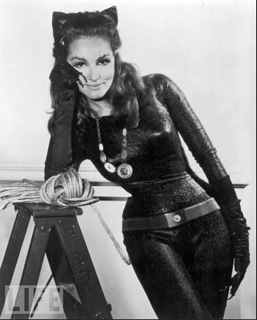 Of special interest will be the talk by Cat Woman, Julie Newmar. Why? I don’t really know. But SFN contributing writer and sometimes partner-in-crime Michelle Shires has just decided to join me and she says she will die if she doesn’t get a picture with Cat Woman. Most of my time will be spent in the exhibit hall, I’m sure. It’s there that you get to hobnob with people like Dr. Valentine who is a veterinarian and a naturopath, which means he can take care of both you and your pets. Good deal! I might also want to play with some Quantum Wave Lasers and learn more about the Global Coherence Initiative. Who knows? 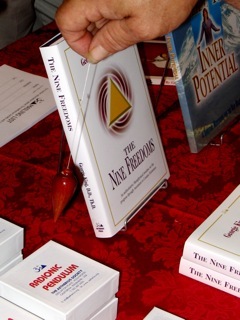 There is always so much to take in at a Conscious Life Expo. We’re going on Sunday. If you live in the Los Angeles area and you would like to see for yourself what the New Age is up to this year, contact me via email and maybe we can arrange for a skeptic meet up! Wednesday: Chatters complained that the placement of the search box right under the chat client wasn’t optimal. Other than that, chat started out talking about alcohol, not just the one we drink like beer, wine and whiskey, but rubbing alcohol and wood alcohol. Some are more dangerous than others, what could happen and how to counteract it. We tried a few slogans for SFN T-shirts, none of the fit though. Homage to Filthy and his grouchy old diamondback. Saving for a trip to this year’s TAM. We rounded up the chat talking about the financing of the health care system in USA and other countries, who knows the largest number of programming languages, and finally: young earth creationism and New Atheism. Should Scientists Be Held Legally Responsible for Their Results? Tennessee senator not concerned about dead babies, women, or men. If they were HIV+, they werent ‘regular’ anyway. Unless you really know what you are doing stay off the ice! Fool Me Twice: Fighting the Assault on Science in America, by Shawn Lawrence Otto. But what happens in a world dominated by complex science? Are the people still well-enough informed to be trusted with their own government? And with less than 2 percent of Congress with any professional background in science, how can our government be trusted to lead us in the right direction? Will the media save us? Don’t count on it. In early 2008, of the 2,975 questions asked the candidates for president just six mentioned the words ‘global warming’ or ‘climate change,’ the greatest policy challenge facing America. To put that in perspective, three questions mentioned UFOs. Today the world’s major unsolved challenges all revolve around science. By the 2012 election cycle, at a time when science is influencing every aspect of modern life, antiscience views from climate-change denial to creationism to vaccine refusal have become mainstream. Faced with the daunting challenges of an environment under siege, an exploding population, a falling economy and an education system slipping behind, our elected leaders are hard at work … passing resolutions that say climate change is not real and astrology can control the weather. There were 6,889 daily visitors this week. There were 30,166 daily visitors in January, 2012.